Where wonderful music meets community needs & lifts our souls. On the third Friday of each month, the Bread & Roses Coffee House at South Congregational Church offers a cozy venue to hear talented musicians while raising funds for local causes and organizations. Performances are typically held in the church parlor (and sometimes in Barrett Hall for larger events). Performers have included Linda Worster, David Grover, Bobby Sweet, Mollie Glazer, Mark Kelso, David Roth, Reggie Harris, and many others. The Coffee House is an arm of South Church’s Mission Board. Take a look at co-founder Pat Politis’ interview on the Pittsfield Community Television (PCTV) show The Lions’ Den from September 2016! Another PCTV show, Music For Your Soul, has recorded Bread & Roses performances by David Grover & Linda Worster and Bobby Sweet (thank you!). Entrance to these live performances is by donation, and the money raised benefits a chosen cause. Coffee is served (of course!) and pastries are available for purchase. Performances are held on the third Friday of each month. Learn about upcoming performances on the Bread & Roses Coffee House Facebook page. 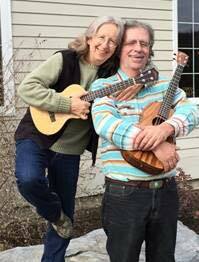 The Bread & Roses Coffee House began around 2014 through the efforts of church members (Pat & Galen Politis), and local performers Linda Worster and David Grover and their rich, musical contacts in this area and beyond.